Would you like to be notified of future Groodle Puppies For Sale? It’s simple. Click on the button bellow and we will keep you updated on future litters of Groodle Puppies we have available before we post them up on our website. It’s free and you can unsubscribe anytime. What temperament does a Groodle have? What’s the Groodles personality? Why are Groodles so popular? friendly, loyal and sweet nature, the Groodle endears it’s self to pretty much everyone it meets. Groodles love human company (and dogs and other pets as well). They’re highly affectionate, gentle and playful making them one of our most popular family dogs. have a freindly expression so people usually don’t feel frightened or intimdated when they see a Groodle running up to them. Early socialization is important just like any other breed. 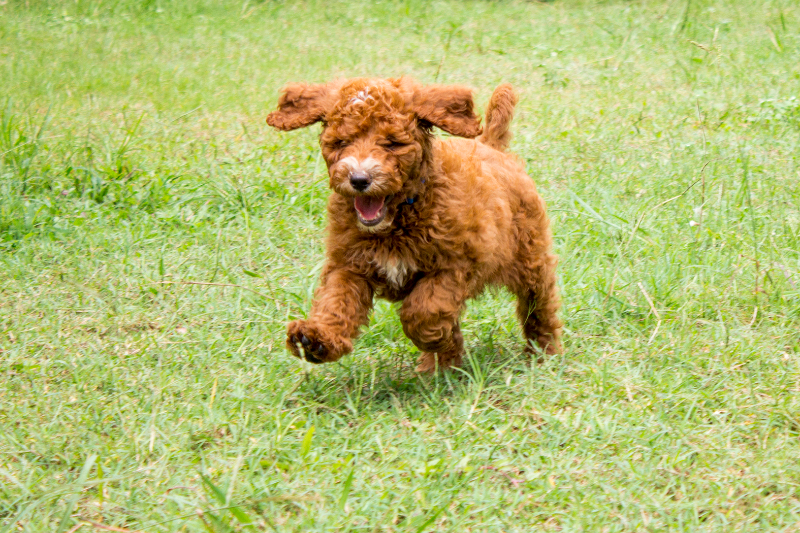 Try to expose your Groodle to many different people, pets, kids, sights and sounds while he or she is a puppy. This will ensure he or she develops into are well balanced adult dog who is a pleasure to take with you just about anywhere. your Groodle with other young puppies. with children and are an absolute pleasure to be around.